Drawing inspiration from nature’s geometry, our unique opal hexagon stacking ring is a beautiful reminder of the beauty of nature’s simplest forms. The hexagon, a shape associated with a bee’s honeycomb, a symbol of life’s sweetness and love. 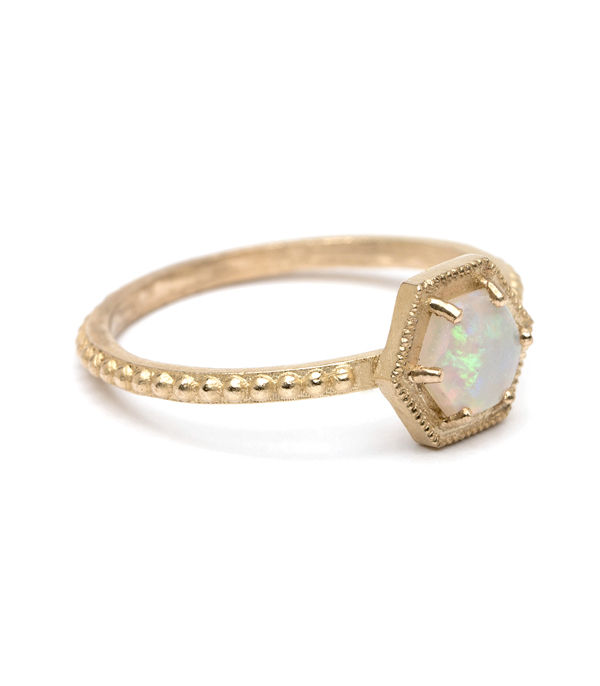 We think this one of a kind opal stacking ring would make a charming ring for the vintage Romantic who appreciates the subtle beauty and mystical play-of-color of the opal. Or, why not add a hint of boho flair to your favorite outfit while running to the Farmer’s Market? 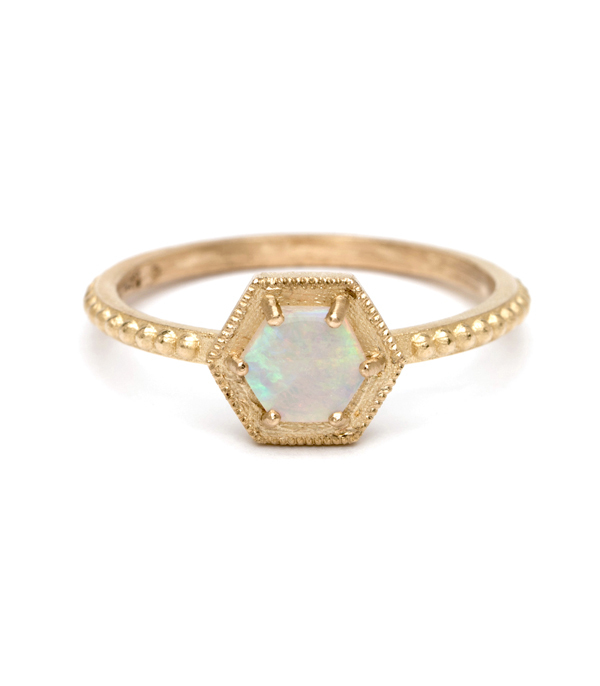 We’d pair this opal stacking ring with our Rose cut diamond hexagon ring for a chic geometric layered look. Ring size 5.75. 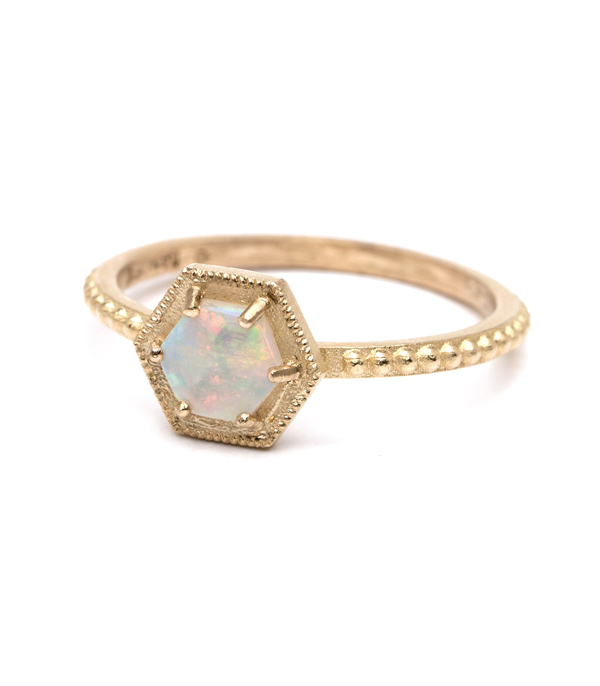 This unique stacking ring is set with a hexagonal cut opal, and hand crafted by our artisan jewelers in Los Angeles.